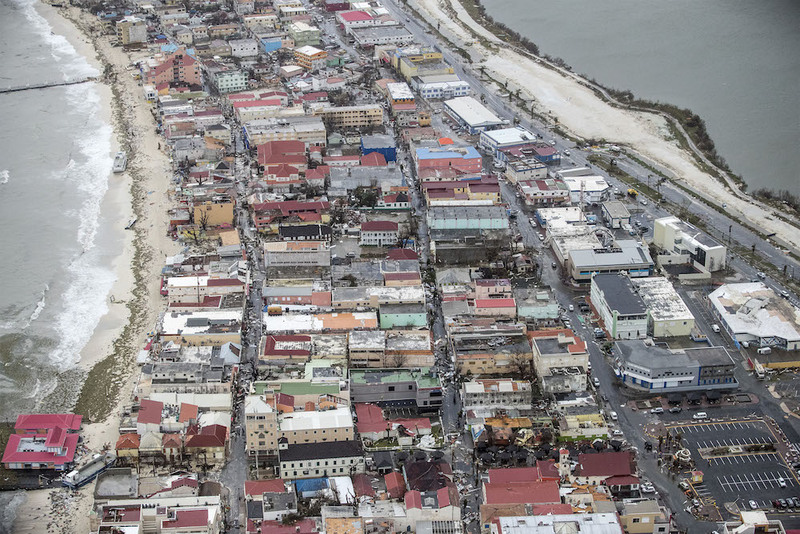 Emergency aid has begun slowly arriving on the Dutch Caribbean island of Sint Maarten which was devastated by hurricane Irma on Wednesday night. The first plane has landed at the airport and navy ship Zr Ms Pelikaan has deposited one load of supplies and has returned to Curaçao for more, commander Peter Jan de Vin said on Twitter. A second ship, Zr Ms Zeeland is in the harbour and unloading supplies. However, using the airport remains risky because the air traffic control is no longer operational, news agency ANP said. The first regular aid flight is not expected until Saturday morning. In addition, an extra 50 police officers are on their way from Curaçao in an attempt to restore law and order to the island, where looting has reportedly been widespread. Soldiers will also be involved in the security operation. A KLM cargo plane will leave the Netherlands on Saturday carrying 60 tonnes of supplies, including generators, solar panels and canvas to mend roofs, the Red Cross said. Two Dutch military transport planes are also being loaded with food and water to take to Sint Maarten, plus Saba and Sint Eustatius, which were not as severely affected by the hurricane, according to the defence ministry website. A second hurricane, named José, is expected to hit the island on Saturday but is not as strong as Irma. The death toll from the hurricane has reached 16, of whom four died on the French part of Sint Maarten and one on the Dutch side. Sint Maarten is an autonomous country within the kingdom of the Netherlands and has a population of some 40,000. The island itself comprises two separate countries, divided between its northern French side, called Saint-Martin, and its southern Dutch side, Sint Maarten. Relations between Sint Maarten and the Netherlands have been strained in recent years, with the Dutch warning both Sint Maarten and Curaçao to get their finances in order.